A distinct themes quantity at the function of degenerate states within the major sequence on chemical physicsEdited through Nobel Prize-winner Ilya Prigogine and well known authority Stuart A. Rice, the Advances in Chemical Physics sequence presents a discussion board for severe, authoritative reviews in each zone of the self-discipline. In a structure that encourages the expression of person issues of view, specialists within the box current finished analyses of matters of curiosity. 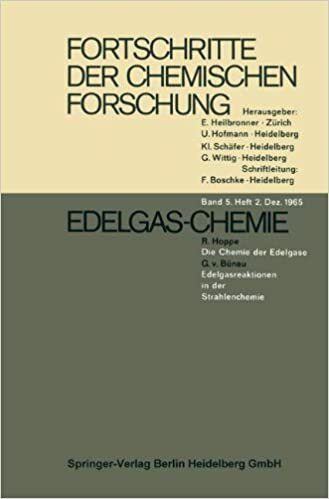 This stand-alone, distinct themes quantity, edited through Gert D. Billing of the college of Copenhagen and Michael Baer of the Soreq Nuclear study middle in Yavne, Israel, experiences contemporary advances at the position of degenerate states in chemistry. quantity 124 collects leading edge papers on "Complex States of straightforward Molecular Systems," "Electron Nuclear Dynamics," "Conical Intersections and the Spin-Orbit Interaction," and plenty of extra comparable issues. Advances in Chemical Physics is still the most desirable venue for displays of recent findings in its box. See Longuet-Higgins phasechange rule Phase factors. 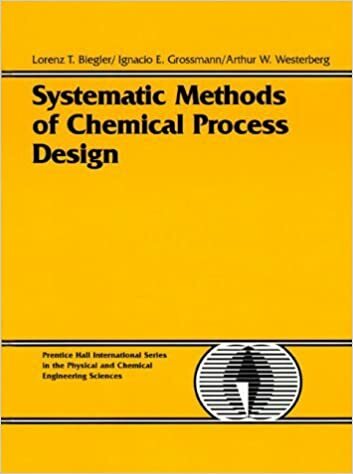 See also Modulus-phase formalism canonical intersection, historical background, 144–148 geometric phase theory, eigenvector evolution, 13–17 molecular systems, 205–214 experimental probing, 248–249 non-adiabatic coupling: Longuet-Higgins phase-based treatment, three-particle reactive system, 157–168 theoretical background, 43–44 observability, 208 quantum theory, 200 Phase-inverting reactions: molecular model, 496–499 phase-change rule, pericyclic reactions, 449– 450 Phase-preserving reactions, phase-change rule, pericyclic reactions, 449–450 791 Photochemistry: direct molecular dynamics, vibronic coupling, 381–382 future research issues, 493–496 loop construction, 453–460 four-electron systems, 455–458 larger four-electron systems, 458–459 multielectron systems, 459–460 qualitative analysis, 472–482 ammonia, 480–481 benzene derivatives, 479–480 butadiene, 474–479 cyclooctatetraene (COT), 482 cyclooctene isomerization, 473–474 ethylene, 472–473 inorganic complexes, 481–482 quantitative analysis, 482–487 three-electron systems, 455 Photodissociation, direct molecular dynamics, nuclear motion Schro¨ dinger equation, 365–373 Photoelectron spectroscopy (PES), nonadiabatic coupling, Born-OppenheimerHuang equation, 45 Photon capture, direct molecular dynamics, adiabatic systems, initial conditions, 373–377 p bonds, phase-change rule, 452–453 isomerization reactions, 456 large four-electron systems, 458–459 Å electronic states: permutational symmetry, electronic wave function, 680–682 Renner-Teller effect: tetraatomic molecules: ABBA models, 631–633 Hamiltonian equations, 626–628 HCCS radical, 633–640 perturbative handling, 641–646 theoretical background, 625–626 triatomic molecules: minimal models, 615–618 vibronic coupling, singlet states, 599–600 vibronic/spin-orbit coupling, 452–453 Planar molecules, permutational symmetry: electronic wave function, 681–682 rotational wave function, 685–687 vibrational wave function, 687–692 792 subject index Podolsky method, Renner-Teller effect, triatomic molecules, Hamiltonian equations, 612–615 Poincare sphere, phase properties, 206 Point group symmetry: conical intersections, geometric phase theory, 5–8 permutational symmetry: electronic wave function, 681–682 group theoretical properties, 669–674 Poisson equations: electronic states, adiabatic-to-diabatic transformation, 296–300 two-state system, 303–309 permutational symmetry, dynamic Jahn-Teller and geometric phase effects, 708–711 Polar coordinates: electronic states, adiabatic-to-diabatic transformation, two-state system, 303– 309 non-adiabatic coupling: Jahn-Teller systems, Longuet-Higgins phase, 119–122 Longuet-Higgins phase-based treatment, two-dimensional two-surface system, scattering calculation, 154–155 three-state molecular system, 134–137 two-state molecular system, single conical intersection solution, 98–101 permutational symmetry, degenerate/neardegenerate vibrational levels, 730–733 Polyene molecules: direct molecular dynamics: complete active space self-consistent field (CASSCF) technique, 409–410 semiempirical studies, 414–415 phase-change rule, pericyclic reactions, 448– 450 Pople-Longuet-Higgins model, Renner-Teller effect: tetraatomic molecules, 629–631 Å electronic states, 633 triatomic molecules, 616–618 Potential energy surface (PES): conical intersection, nonadiabatic coupling, 148 crude Born-Oppenheimer approximation: angular-momentum-adopted Gaussian matrix elements, 517–542 Coulomb potential derivatives, 527–542 first-order derivatives, 529–535 second-order derivatives, 535–542 normalization factor, 517 nuclei interaction terms, 519–527 overlap integrals, 518–519 hydrogen molecule, minimum basis set calculation, 542–550 theoretical background, 506–507 direct molecular dynamics: adiabatic systems, 362–381 Gaussian wavepacket propagation, 377– 381 initial condition selection, 373–377 nuclear Schro¨ dinger equation, 363–373 Gaussian wavepackets and multiple spawning, 399–402 molecular mechanics valence bond (MMVB), 408–411 nuclear motion Schro¨ dinger equation, 419– 420 theoretical background, 356–362 trajectory surface hopping, 397–399 vibronic coupling, 382–393 electronic states: adiabatic representation: Born-Huang expansion, 286–289 first-derivative coupling matrix, 290– 291 nuclear motion Schro¨ dinger equation, 289–290 second-derivative coupling matrix, 291– 292 adiabatic-to-diabatic transformation: diabatic nuclear motion Schro¨ dinger equation, 293–295 diabatization matrix, 295–300 electronically diabatic representation, 292–293 two-state application, 300–309 theoretical background, 283–286 triatomic reactions, two-state formalism, 309–319 partial wave expansion, 312–317 propagation scheme and asymptotic analysis, 317–318 symmetrized hyperspherical coordinates, 310–312 electron nuclear dynamics (END): structure and properties, 325–327 theoretical background, 324–325 subject index non-adiabatic coupling: extended Born-Oppenheimer equations, 170–171 Longuet-Higgins phase-based treatment, 155–157 permutational symmetry: format, 737–738 2 S systems, 692–694 Renner-Teller effect, theoretical principles, 585–586 Potential fluid dynamics, molecular systems, modulus-phase formalism, quantum mechanics and, 265–266 Pragmatic models, Renner-Teller effect, triatomic molecules, 618–621 Probability densities, permutational symmetry, dynamic Jahn-Teller and geometric phase effects, 705–711 Projection operators, geometric phase theory, eigenvector evolution, 16–17 Projective Hilbert space, Berry’s phase, 209– 210 Prony analysis, electron nuclear dynamics (END), molecular systems, 344–349 Propagation techniques, electronic states, triatomic quantum reaction dynamics, 317–318 Pseudomagnetic fields: degenerate states chemistry, x–xiii non-adiabatic coupling: curl equation, 95–96 vector potential, Yang-Mills field, 94–95 Pseudoparticles, direct molecular dynamics: nuclear motion Schro¨ dinger equation, 371– 373 trajectory ‘‘swarms,’’ 421–422 Pseudorotation: electronic states, quantum reaction dynamics, 284–286 permutational symmetry, dynamic Jahn-Teller and geometric phase effects, 702–711 Pseudoscalar term, multidegenerate nonlinearity, off-diagonal elements, squaring-off, 246 Pump-probe techniques, molecular systems, 211 Quadratic coupling, geometric phase theory, Jahn-Teller effect, 22–23 Quantal adiabatic phase: geometric phase theory, 2 793 quantum theory, 199–200 Quantization: degenerate states chemistry, x–xiii non-adiabatic coupling: curl condition, pseudomagnetic field, 96 extended Born-Oppenheimer equations, 171–173 three-state systems, 173–174 future research applications, 118–119 general case techniques, 63–67 model systems, 57–63 extensions, 62–63 four-state case, 60–62 three-state case, 59–60 two-state system, 58–59 theoretical background, 41–44 Quantum chemistry, direct molecular dynamics, 416 Quantum correction, molecular systems, modulus-phase formalism, 264–265 Quantum dressed classical mechanics, nonadiabatic coupling, 177–183 geometric phase effect, 180–183 theoretical background, 177–180 Quantum measurements, component amplitude analysis, phase-modulus relations, phase losses, 218 Quantum mechanics: adiabatic molecular dynamics, theoretical background, 362–363 molecular systems, modulus-phase formalism, potential fluid dynamics and, 265–266 Quantum numbers: permutational symmetry, dynamic Jahn-Teller and geometric phase effects, 702–711 Renner-Teller effect: nonlinear molecules, 607–610 triatomic molecules, 592–598 Quantum reaction dynamics, electronic states: adiabatic representation: Born-Huang expansion, 286–289 first-derivative coupling matrix, 290–291 nuclear motion Schro¨ dinger equation, 289– 290 second-derivative coupling matrix, 291– 292 adiabatic-to-diabatic transformation: diabatic nuclear motion Schro¨ dinger equation, 293–295 794 subject index Quantum reaction dynamics, electronic states: (Continued) diabatization matrix, 295–300 electronically diabatic representation, 292–293 two-state application, 300–309 theoretical background, 283–286 triatomic reactions, two-state formalism, 309–319 partial wave expansion, 312–317 propagation scheme and asymptotic analysis, 317–318 symmetrized hyperspherical coordinates, 310–312 Quantum theory, molecular systems, 198–205 Quasiclassical trajectory (QCT) calculation, non-adiabatic coupling, LonguetHiggins phase-based treatment, threeparticle reactive system: D þ H2 reaction, 160–163 H þ D2 reaction, 167–168 Quasidiabatic framework, non-adiabatic coupling, adiabatic-to-diabatic transformation matrix, line integral approach, 53–57 Quasi-Jahn-Teller model, non-adiabatic coupling, Longuet-Higgins phase-based treatment, two-dimensional two-surface system, scattering calculation, 150–155 Racah coefficients, multidegenerate nonlinear coupling, higher order coupling, 243 Reactive collisions, electron nuclear dynamics (END), molecular systems, 338–342 final-state analysis, 343–349 Reactive double-slit model (RDSM), nonadiabatic coupling, Longuet-Higgins phase-based treatment, two-dimensional two-surface system, scattering calculation, 150–155 Reactive transitions, non-adiabatic coupling, extended Born-Oppenheimer equations, 175–177 Reciprocal relations: molecular systems, component amplitude analysis: cyclic wave functions, 225–228 modulus-phase formalism, 215 origins, 215–217 theoretical consequences, 232–233 wave function analycity, 201–205 Reference configuration: permutational symmetry, 737–738 Renner-Teller effect, triatomic molecules, 614–615 Regge poles, molecular systems, phase properties, 214 Relativistic states: conical intersections, spin-orbit interaction: future research issues, 578–580 seam loci, 573–574 molecular systems, modulus-phase formalism, 262–263 Renner effect, historical background, 584–585 Renner parameter, Renner-Teller effect: tetraatomic molecules: perturbative handling, 642–646 Å electronic states, 635–640 Å electronic states, 632–633 triatomic molecules, vibronic/spin-orbit coupling, 600–605 Renner-Teller effect: degenerate states chemistry, xiii historical background, 584–585 multidegenerate nonlinear coupling, higher order coupling, 243–248 complex representation, 243–244 generalized coupling, 247 interpretation, 248 nonlinear diagonal elements, 247 off-diagonal coupling, 246–247 off-diagonal squaring, 245–246 non-adiabatic coupling, topological spin insertion, 70–73 nonadiabatic coupling, two-state molecular system, 59 tetraatomic molecules: delta electronic states, perturbative handling, 647–653 Å-electronic states: ABBA molecules, 631–633 HCCS radical, 633–640 perturbative handling, 641–646 theoretical principles, 625–633 Hamiltonian equation, 626–628 vibronic problem, 628–631 theoretical principles, 585–586 triatomic molecules: benchmark handling, 621–623 effective Hamiltonians, 623–624 subject index Hamiltonian equations, 610–615 minimal models, 615–618 multi-state effects, 624 pragmatic models, 618–621 spectroscopic properties, 598–610 linear molecules: singlet state vibronic coupling, 598– 600 vibronic/spin-orbit coupling, 600–605 nonlinear molecules, 606–610 theoretical principles, 587–598 Restricted open-shell Hartree-Fock (ROHF) procedure, 415 Restriction equations, molecular systems, component amplitude analysis, reciprocal relations, 215–217 Robb, Bernardi, and Olivucci (RBO) method, conical intersection location, 489–490 Rotational couplings: electronic states, 284–286 electron nuclear dynamics (END), final-state analysis, 348–349 Rotational wave function, permutational symmetry, 683–687 Rovibrational states, electron nuclear dynamics (END), molecular systems, final-state analysis, 344–349 Rovibronic wave function, permutational symmetry, 682–683 Rydberg states: Renner-Teller effect, tetraatomic molecules, 625 wavepacket revivals, 212 Rys’ polynomials: crude Born-Oppenheimer approximation, hydrogen molecule, Hamiltonian equation, 515–516 integral equations, 553–555 Sayvetz condition, Renner-Teller effect, triatomic molecules, 614–615 Scattering calculations: direct molecular dynamics, nuclear motion Schro¨ dinger equation, 365–373 electronic states, triatomic quantum reaction dynamics, 309–319 electron nuclear dynamics (END), molecular systems, reactive collisions, 338–342 non-adiabatic coupling, Longuet-Higgins phase-based treatment, two-dimensional 795 two-surface system, quasi-Jahn-Teller scattering calculation, 150–155 time shifts, 213 Schiff approximation, electron nuclear dynamics (END), molecular systems, 339–342 Schro¨ dinger equation: canonical intersection, historical background, 145–148 crude Born-Oppenheimer approximation: basic principles, 510–512 hydrogen molecule, Hamiltonian, 514–516 degenerate states chemistry, xi–xiii diabatization, 42 electronic states: adiabatic-to-diabatic transformation, 298–300 Born-Huang expansion, adiabatic representation, 289 Longuet-Higgins phase-change rule, loop construction, 462–472 molecular systems: component amplitude analysis: phase-modulus relations, 217–218 time-dependent equation, 214–215 time-dependent ground state, 220–224 Yang-Mills fields, nuclear Lagrangean, 250 non-adiabatic coupling: Born-Oppenheimer approximation, 187– 191 extended Born-Oppenheimer equations, three-state molecular system, 174–175 Jahn-Teller systems, Longuet-Higgins phase, 121–122 vector potential, Yang-Mills field, 94–95 nuclear motion equation: direct molecular dynamics, 363–373 electronic states: adiabatic representation, 289–290 diabatic representation, 292–293 principles of, 417–420 permutational symmetry, total molecular wave function, 661–668, 674–678 quantum theory, 199 Renner-Teller effect: tetraatomic molecules, vibronic coupling, 628–631 triatomic molecules, 587–598 benchmark handling, 621–623 Hamiltonian selection, 610–615 796 subject index Schro¨ dinger equation: (Continued) time-dependent equation: direct molecular dynamics, 356–362 Ehrenfest dynamics, 395–397 initial conditions, 373–377 trajectory surface hopping, 399 vibronic coupling, diabatic representation, 385–386 electron nuclear dynamics (END): structure and properties, 325–327 theoretical background, 323–325 permutational symmetry, 723–728 wave function propagation, 422–423 time-dependent wave function, 214 Seam loci: conical intersections, spin-orbit interaction: algorithms, 572–574 convergence, 572–573 H2 þ OH 1,22A0 and 12A0 states, 571–572 invariant parameters, 574–576 orthogonal parameters, 576–578 permutational symmetry, 1H3 isotopomers, 716–717 Second-derivative coupling matrix: crude Born-Oppenheimer approximation, Coulomb potential derivatives, 535–542 direct molecular dynamics, ab initio multiple spawning (AIMS), 412–414 electronic state adiabatic representation, 291– 292 electronic states: adiabatic-to-diabatic transformation, twostate system, 304–309 triatomic quantum reaction dynamics, partial wave expansion, 313–317 Self-consistent field (SCF) calculations, electron nuclear dynamics (END), timedependent variational principle (TDVP), 333–334 Semiclassical approximation: direct molecular dynamics: non-adiabatic coupling, 395–397 theoretical background, 358–361 electron nuclear dynamics (END), molecular systems, 339–342 molecular systems, 212 non-adiabatic coupling, Longuet-Higgins phase-based treatment, three-particle reactive system, D þ H2 reaction, 163–167 Semiempirical wave functions: direct molecular dynamics, 414–415 permutational symmetry, potential energy surfaces, 692–694 s bonds, phase-change rule, 452 isomerization reactions, 456 large four-electron systems, 458–459 Æ electronic states: permutational symmetry, electronic wave function, 680–682 Renner-Teller effect, triatomic molecules, 587 minimal models, 618 multiple-state models, 623 nonlinear molecules, 606–610 pragmatic models, 620–621 vibronic coupling, 598–600 vibronic/spin-orbit coupling, 600–605 Sign flips: non-adiabatic coupling: geometrical interpretation, 77–80 three-state molecular system, 73–77 permutational symmetry, 1H3 isotopomers, 716–717 Single coordinate model, molecular photochemistry, 493–496 Single-surface nuclear dynamics: geometric phase theory, 23–31 molecular Aharonov-Bohm effect, vectorpotential theory, 25–31 symmetry properties, 28–31 non-adiabatic coupling, Longuet-Higgins phase-based treatment, two-dimensional two-surface system, scattering calculation, 150–155 permutational symmetry, total molecular wave function, 665–668 Singlet state molecules, triatomic molecules, vibronic coupling, Renner-Teller effect, 598–600 Single-valued adiabatic state: geometric phase theory, evolution of, 12–17 non-adiabatic coupling: adiabatic-to-diabatic transformation matrix, 126–132 Herzberg-Longuet-Higgins phase, JahnTeller model, 185–186 Single-valued diabatic potentials, non-adiabatic coupling, two-state molecular system subject index and isotopic analogues, C2H-molecule: (1,2) and (2,3) conical intersections, 111–112 Single-valued potential, adiabatic-to-diabatic transformation matrix, non-adiabatic coupling, 49–50 topological matrix, 50–53 Skew symmetric matrix, electronic states: adiabatic representation, 290–291 adiabatic-to-diabatic transformation, twostate system, 302–309 Slater determinants: crude Born-Oppenheimer approximation, hydrogen molecule, minimum basis set calculation, 542–550 electron nuclear dynamics (END), molecular systems, final-state analysis, 342–349 Sodium iodide, direct molecular dynamics, ab initio multiple spawning, 413–414 Space-fixed coordinates, permutational symmetry: electronic wave function, 680–682 group theoretical properties, 669–674 total molecular wave function, 661–668, 674–678 Space-inversion operator, permutational symmetry, 722–723 Spin-degenerate systems, geometric phase theory, conical intersections, 6–8 Spin function, permutational symmetry, group theoretical properties, 669–674 Spin multiplicity, permutational symmetry, dynamic Jahn-Teller and geometric phase effects, 706–711 Spin-orbit coupling: conical intersections: derivative couplings, 569–570 electronic Hamiltonian, 559 future research issues, 578–580 local topography: conical parameters, 569 energy parameters, 568–569 location, 564–565 numerical calculations, 571–578 convergence equations, 572 H2 þ OH 1,22A0 and 12A0 states, 571–572 orthogonality properties, 576–578 seam loci: 797 conical parameters and invariant, 574–576 parameters, 572–574 orthogonal intersection adapted coordinates, 565–567 perturbation theory, 561–564 research background, 558–559 time-reversal symmetry, 559–561, 563–564 transformational invariant, 567 geometric phase theory, Jahn-Teller effect, 20–22 permutational symmetry, 711–712 Renner-Teller effect: tetraatomic molecules: delta electronic states, perturbative handling, 647–653 Å electronic states: ABBA molecules, 631–633 HCCS radical, 633–640 perturbative handling, 641–646 theoretical principles, 625–633 Hamiltonian equation, 626–628 vibronic problem, 628–631 theoretical principles, 585–586 triatomic molecules: benchmark handling, 621–623 effective Hamiltonians, 623–624 Hamiltonian equations, 610–615 minimal models, 615–618 multi-state effects, 624 pragmatic models, 618–621 spectroscopic properties, 598–610 nonlinear molecules, 606–610 theoretical principles, 587–598 vibronic coupling and, 600–605 Spinor components, molecular systems, modulus-phase formalism: applications, 272 Dirac theory electrons, 267–268 Spin-pairing: conical intersection: anchors, molecules and independent quantum species, 439–441 two-state systems, 437–438 conical intersection location, 492–493 phase-change rule, cyclopentadienyl radical (CPDR), 467 Splitting phenomena, Renner-Teller effect, triatomic molecules, vibronic/spin-orbit coupling, 603–605 798 2 subject index S systems, permutational symmetry: alkali metal trimers, 712–713 dynamic Jahn-Teller and geometric phase effects, 698–711 electron/nuclear spin effects, 711–712 1 H3 isotopomers, 713–717 nonadiabatic coupling effects, 711 potential energy surfaces, 692–694 static Jahn-Teller effect, 694–698 State-averaged orbitals, direct molecular dynamics, complete active space selfconsistent field (CASSCF) technique, non-adiabatic systems, 4–5–411 State-to-state transition probability, nonadiabatic coupling: extended Born-Oppenheimer equations, 175– 177 Longuet-Higgins phase-based treatment, 155–157 Stokes theorem, geometric phase theory, eigenvector evolution, 14–17 Stueckelberg oscillations, direct molecular dynamics, trajectory surface hopping, 398–399 Sub-Hilbert space: electronic state adiabatic representation, Born-Huang expansion, 287–289 non-adiabatic coupling: adiabatic-to-diabatic transformation matrix, quasidiabatic framework, 55–56 Born-Oppenheimer-Huang equation, 46– 47 construction, 67–69 future research applications, 118–119 minimal diabatic potential matrix, 81–89 theoretical background, 42–44 three-state molecular system, strongly coupled (2,3) and (3,4) conical intersections, ‘‘real’’ three-state systems, 113–117 two-state molecular system, 59 vector potential, 93–97 Sub-sub-Hilbert space, non-adiabatic coupling: construction, 69–70 topological spin, 70–73 Sufficiency criterion, molecular systems, YangMills fields, tensorial field vanishing, 257–259 Surface hopping, direct molecular dynamics, 397–399 error sources, 403–404 limits of, 416–417 Symmetric properties: conical intersection: location, 490–491 spin-orbit interaction, H2 þ OH 1,22A0 and 12A0 states, 571–572 crude Born-Oppenheimer approximation, hydrogen molecule, minimum basis set calculation, 543–550 direct molecular dynamics: conical intersections, 388–389 vibronic coupling Hamiltonian, 390–393 electronic states, triatomic quantum reaction dynamics, hyperspherical coordinates, 310–312 electron nuclear dynamics (END), molecular systems, final-state analysis, 347–349 geometric phase theory: conical intersections, 6–8 single-surface nuclear dynamics, vectorpotential, molecular Aharonovo-Bohm effect, 28–31 permutational symmetry: adiabatic states, conical intersections: invariant operators, 735–737 Jahn-Teller theorem, 733–735 antilinear operator properties, 721–723 degenerate/near-degenerate vibration levels, 728–733 electronic wave function, 680–682 energy functional form, 737–738 GBO approximation and geometric phase, two-dimensional Hilbert space model, 718–721 group theoretical issues, 668–674 nuclear spin function, 678–682 rotational wave function, 683–687 rovibronic/vibronic wave functions, 682– 683 2 S systems: alkali metal trimers, 712–713 dynamic Jahn-Teller and geometric phase effects, 698–711 electron/nuclear spin effects, 711–712 1 H3 isotopomers, 713–717 nonadiabatic coupling effects, 711 potential energy surfaces, 692–694 static Jahn-Teller effect, 694–698 theoretical background, 660–661 time-dependent Schro¨ dinger equation, 723–728 subject index total molecular wave function, 661–668, 674–678 vibrational wave function, 687–692 Renner-Teller effect, pragmatic triatomic models, 618–621 t-matrices, non-adiabatic coupling: analycity properties, 124–126 curl condition, pseudomagnetic field, 95–96 extended Born-Oppenheimer equations, 169–171 three-state molecular system, 174–175 minimal diabatic potential matrix, noninteracting conical intersections, 86–89 quantization extensions, 62–63 single/multivaluedness, 126–132 three-state molecular system, 102–103 numerical studies, 134–137 strongly coupled (2,3) and (3,4) conical intersections, ‘‘real’’ three-state systems, 115–117 two-state molecular system: H3 molecule, 105–109 single conical intersection solution, 98–101 vector potential, Yang-Mills field, 93–97 Taylor series: direct molecular dynamics, vibronic coupling, conical intersections, 386–389 geometric phase theory, conical intersections, 5–8 Renner-Teller effect, triatomic molecules, 610–615 Temperature, wave function properties, 214 Tetraatomic molecules: electronic states, quantum reaction dynamics, 285–286 Renner-Teller effects: delta electronic states, perturbative handling, 647–653 Å electronic states: ABBA molecules, 631–633 HCCS radical, 633–640 perturbative handling, 641–646 theoretical principles, 625–633 Hamiltonian equation, 626–628 vibronic problem, 628–631 Thouless determinantal wave function, electron nuclear dynamics (END): 799 molecular systems, final-state analysis, 343–349 time-dependent variational principle (TDVP), 335–337 Three-dimensional representation, RennerTeller effect: tetraatomic molecules, Å electronic states, 635–640 triatomic molecules, 597–598 benchmark handling, 621–623 Three-state system: loop construction, photochemical reactions, 455 non-adiabatic coupling: Longuet-Higgins phase-based treatment, 157–168 D þ H2 reaction: quasiclassical trajectory (QCT) calculation, 160–163 semiclassical calculation, 163–167 H þ D2 reaction, quasiclassical trajectory calculation, 167–168 minimal diabatic potential matrix, noninteracting conical intersections, 81–89 numerical study, 134–137 extended Born-Oppenheimer equations, 174–175 quantization, 59–60 extended Born-Oppenheimer equations, 173–174 sign flip derivation, 73–77 strongly coupled (2,3) and (3,4) conical intersections, ‘‘real’’ three-state systems, 113–117 theoretical-numeric approach, 101–103 Wigner rotation/adiabatic-to-diabatic transformation matrices, 92 Time-dependent ground state (TDGS), molecular systems, component amplitude analysis, near-adiabatic limit, 220–224 Time-dependent Hartree-Fock (TDHF) approximation. See also Quantum reaction dynamics electron nuclear dynamics (END), timedependent variational principle (TDVP), general reactions, 334–337 geometric phase theory: quadratic Jahn-Teller effect, 22–23 single-surface nuclear dynamics, 23–31 molecular Aharonov-Bohm effect, vector-potential theory, 25–31 vibronic multiplet ordering, 24–25 permutational symmetry: adiabatic states, conical intersections: invariant operators, 735–737 Jahn-Teller theorem, 733–735 antilinear operator properties, 721–723 degenerate/near-degenerate vibration levels, 728–733 degenerate states chemistry, xiii electronic wave function, 680–682 energy functional form, 737–738 GBO approximation and geometric phase, two-dimensional Hilbert space model, 718–721 geometric phase theory, single-surface nuclear dynamics, 30–31 group theoretical issues, 668–674 nuclear spin function, 678–682 phase-change rule, 451–453 rotational wave function, 683–687 rovibronic/vibronic wave functions, 682– 683 2 S systems: alkali metal trimers, 712–713 dynamic Jahn-Teller and geometric phase effects, 698–711 electron/nuclear spin effects, 711–712 1 H3 isotopomers, 713–717 789 nonadiabatic coupling effects, 711 potential energy surfaces, 692–694 static Jahn-Teller effect, 694–698 theoretical background, 660–661 time-dependent Schro¨ dinger equation, 723–728 total molecular wave function, 661–668, 674–678 vibrational wave function, 687–692 Nuclear Lagrangean equation, molecular systems, Yang-Mills fields, 249–250, 255–257 Nuclear motion Schro¨ dinger equation: direct molecular dynamics, 363–373 vibronic coupling, adiabatic effects, 382–384 electronic states: adiabatic representation, 289–290 adiabatic-to-diabatic transformation, 293–295 diabatization matrix, 296–300 diabatic representation, 292–293 triatomic quantum reaction dynamics, partial wave expansion, 313–317 principles of, 417–420 Nuclear spin function, permutational symmetry, 678–680, 711–712 Nuclei subsystems, permutational symmetry, total molecular wave function, 677–678 Off-diagonal elements: adiabatic-to-diabatic transformation matrix, quantization, 67 conical intersection location, 488–489 multidegenerate nonlinearity: generalized coupling, 246–247 squaring-off method, 245–246 permutational symmetry, total molecular wave function, 666–668 One-dimensional representations: conical intersections, spin-orbit coupling, 558–559 Renner-Teller effect: theoretical principles, 585–586 triatomic molecules, pragmatic models, 620–621 On-the-fly molecular dynamics.